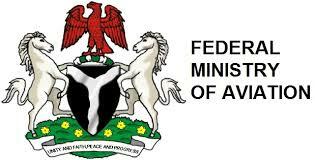 Labour unions in the aviation sector on Wednesday urged the Federal Government not to merge the Ministry of Aviation with the Ministry of Transport. The leadership of the unions made this known in an open letter addressed to President Muhammadu Buhari, a copy of was was made available to aviation correspondents in Lagos. The letter was jointly issued by the National Union of Air Transport Employees (NUATE), Air Transport Services Senior Staff Association of Nigeria (ATSSSAN) and National Association of Aircraft Pilots and Engineers (NAAPE). The letter was signed by the General Secretaries of the unions, Mr Olayinka Abioye for NUATE, Captain N. Tarnongu for ATSSSAN and Mr Aba Ocheme for NAAPE respectively. The unions maintained that the proposed merger was being championed by "a well-known aviation cabal which over the years had perfected the art of cornering every new administration. "The cabal presently has strong interest and is the unseen force behind the emergent distractive debate about the merger or de-merger of the aviation industry, with, or from the transport ministry. "Unable to influence the president's choice of a minister of aviation, and being thoroughly afraid of the Buhari 'integrity wind,' they now seek to have a weak aviation leadership, more amenable to their type of unsolicited advice. "They hope to achieve this by having a larger transport ministry where aviation will be mere but lucrative department," the letter said. According to them, on two occasions, the ministries were merged under former President Olusegun Obasanjo, but were reversed in order not to destroy the sector. The unions argued that the fundamental problem in some ministries was corruption and bad leadership arising from the failure to do the right thing in the appointment of professionals to run such ministries. "With the level of unemployment in the country, it beats one’s imagination that some group of people will be advising government to shrink the ministries and thus narrow employment opportunities for deserving Nigerians. "It is our conviction that any ministry that is self-sustaining through its agencies and has the capacity to contribute to the national treasury should not be merged, but restructured if need be," the letter partly read. The unions, however, assured Buhari that they would support his final decision on the matter. They also appealed to him to appoint a seasoned professional with sound managerial experience to pilot the affairs of the aviation ministry to move the industry to greater heights.